If you are a hockey fan, Wayne Gretzky needs no introduction. The contributor tells us her mother received this recipe from him in the late 1980s. I’m fine with the pineapple, but not so much with the baked beans. Cook beef in a large frying pan, wok or Dutch oven over low heat; stir in green pepper, celery and onions. Stir in tomato paste, tomatoes, beans and seasonings. Simmer over low yeat 30-45 minutes, stirring often. Add drained pineapple chunks just before serving. 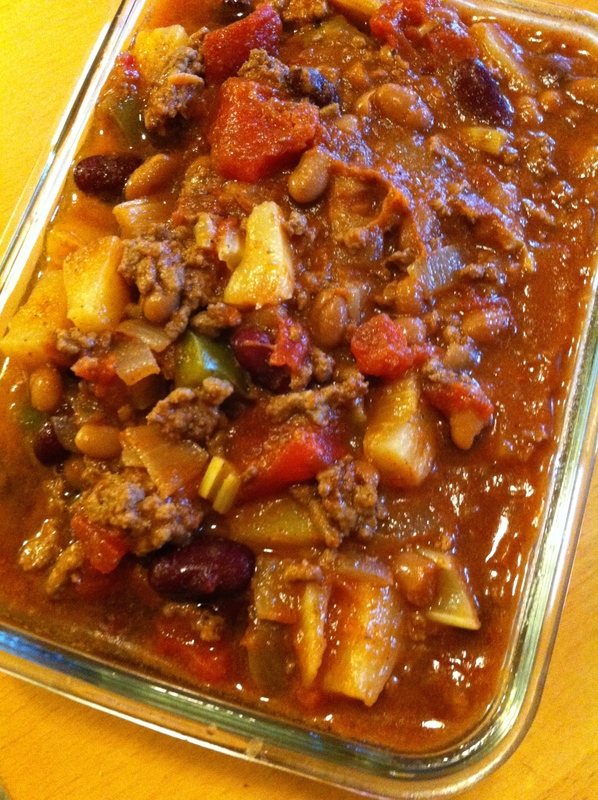 This entry was posted in Beans (dried), Beef, Meat, Stews and tagged Baked beans, ground beef, kidney beans, pineapple chunks, The Parkdale Potluck Cookbook, tomatoes by gluadys. Bookmark the permalink.